The carefully curated increasing of my stash continues. 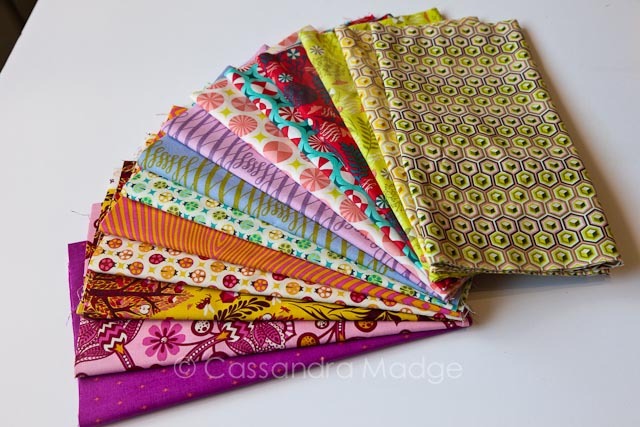 I have been fossicking about online and finding rare Tula Pink fabrics to add to my rapidly growing collection! 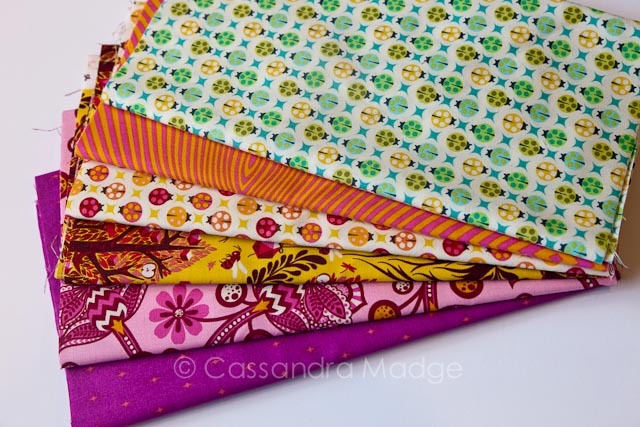 Of course, you need a closer view of all these glorious prints and patterns. There is some Parisville in there, Prince Charming, Birds and the Bees and a little piece of Acacia too. Most of these, I’m proud to admit it, were just for stashing! 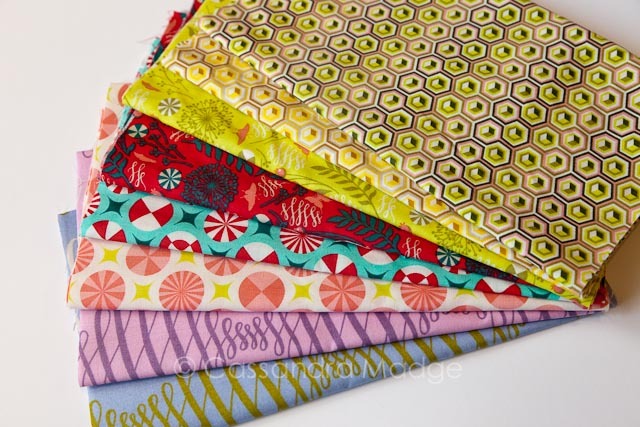 I am excitedly planning a Swoon quilt with Tula Pink fabrics, and I want to have lots of colours and contrasts to choose from! Four more Joel Dewberry prints to nearly complete my Heirloom collection. 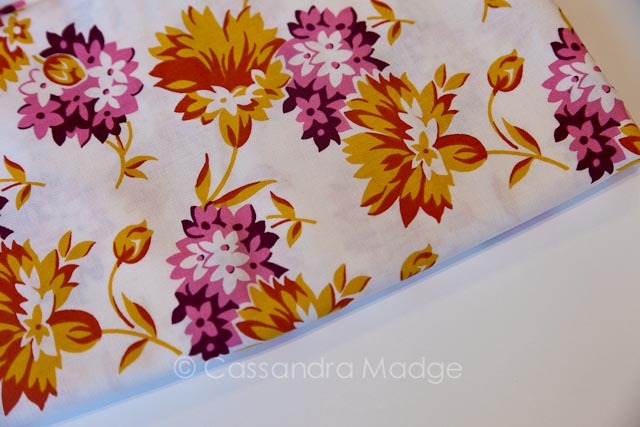 I have yet to plan a pattern for these, but when I do it will be a glorious riot of pattern and colour. 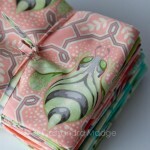 Tucked in the back there is a piece of Natalie Lymer’s pixies, bought for an upcoming bee block. 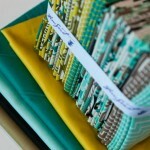 All of the above were bought from Fifi’s Fabricology, during their Football Finals discount special…. 10% off, and free shipping because I bought so much! Love it. Finally, I snaffled another metre of this beautiful Denyse Schmidt print, practically a vintage line by now! Our Spotlight has it in the clearance section and at $8 p/m, how could I resist? 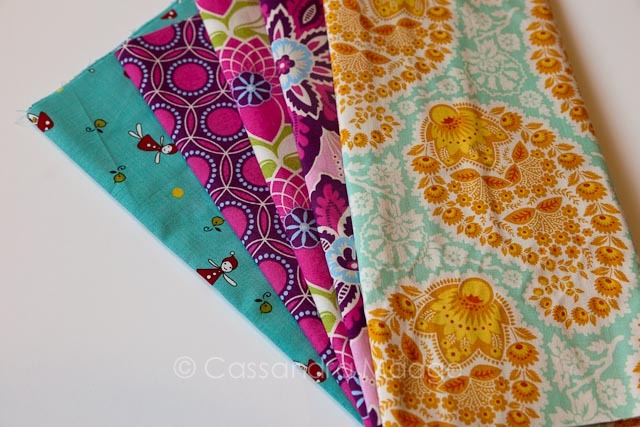 So, what is your favourite print range from Tula Pink? Shout it out in the comments! 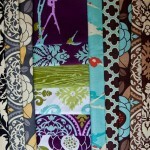 Funny, but I snagged some more Tula this week that I’d been coveting. Must be the season for it.